Bathrooms are often the most difficult spaces to imagine remodeling due to their size constraints. But the amount of time and functionality we require from a bathroom makes it the ideal room for a remodel. Fortunately, there are a few tips for remodeling that will turn any cramped bathroom quarters into a mini oasis. Whether you’re a trade professional searching for new ways to upgrade your client’s small bathroom or a homeowner looking for a change, following these renovation ideas could turn that small space into a luxurious getaway. The one thing every bathroom needs is space to store all the necessities, from washcloths and towels to soap, shampoo, and other sundries. Small bathrooms often don’t have the space for floor-to-ceiling built-in shelves, but there are other ways to get creative. Floating shelves can provide storage space for style-boosting accessories and make a bathroom appear larger by allowing you to see all the way to the wall. Paint the inside of the vanity a bright shade — or use brightly colored adhesive paper — to make storing necessities a little more fun. The right lighting can make all the difference in how any room is perceived. If the bathroom you’re renovating has windows, do your best not to cover them up. And if you’re a contractor or a builder, add a skylight to flood your client's space with even more natural light. Many homeowners also enjoy a mix of task and ambient lighting to help create the illusion of a larger room. Sconces mounted on either side of the vanity mirror will cast an even glow. Ditch the overhead fixture in favor of a pendant lamp or chandelier for better ambient lighting and a more creative design. Cove lighting is another option to consider; it can be created by hiding rope lights behind crown molding near the ceiling for a soft glow around the perimeter of the room. The upside to a tiny space is that you can choose high-end elements without setting the budget back too much. Even something as pricey as a marble hexagonal tile won’t break the bank, which, seeing as there’s not much square footage to cover, should be an easy job for the right flooring expert. A hand-carved marble sink, metallic damask wall covering, a gold gilded mirror, or crystal wall sconces work to create an impactful space. And an oversized showerhead and radiant heated floors are accessories that can make remodeling a small bathroom worth the effort. Lighting isn’t the only way to make a little bathroom seem just a tad larger. Small shower enclosures will make a small bathroom appear larger by allowing you to see from one end of the room to the other. It also eliminates the visual barrier of a shower curtain or doors. A curbless shower entry eliminates the demarcation of an already limited footprint. A wall mount or classic pedestal sink will take up less visual space without compromising style. If additional storage space is needed, a curved-front vanity can maximize usable space and add a soft design element. Opt for accessories that carry the eye upward, such as a large, frameless mirror and a ladder towel rack to create the illusion of vertical space. A small room means smaller fixtures and accessories. Scaling back the size of towel racks, lighting fixtures, and faucets can help to keep from overwhelming a small space. Replace a standard door with a pocket door to lend privacy and free up floor space. Consider small flooring tiles, too. 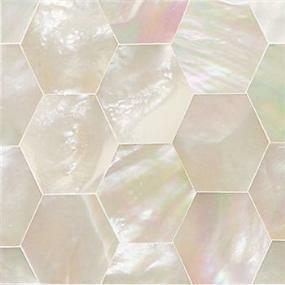 Mosaic tiles are not only smaller than most, but they’re also attractive and practical. 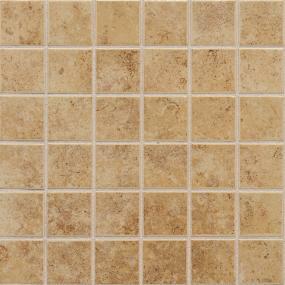 Small tiles mean more grout lines, which provide more traction on wet bathroom floors. There are differing opinions on whether or not to use color in small bathrooms. Some homeowners prefer a white or soft neutral color palette for walls that will maximize light, while others use just the right amount of color to add their unique sense of style to towels, a shower curtain, or accessories. A bright, white palette keeps a small space from feeling cramped, but bold patterns and a splash of color can add dimension and a dose of fun. Essentially, when it comes to color choices, it’s all about what will match your custom small bathroom. Remodeling tiny bathrooms can seem like a chore, but ProSource Wholesale® has what you need to turn that small space into a wonderful spa. When you’re ready, follow our tips for your bathroom remodel and peruse our bath product catalog for additional inspiration. If you’re a homeowner who’s just finished your list of ideas on remodeling your small bathroom, let our dedicated showroom staff put you in touch with a trade professional who can help turn your dream bathroom into a reality!